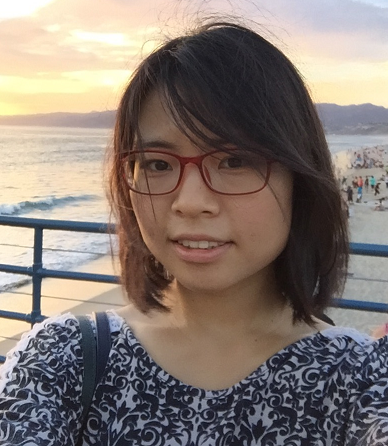 Yunan Yang is a PhD candidate at University of Texas (UT) at Austin working on inverse problems and applications. She first visited IPAM in the fall of 2016 to attend a workshop, and returned in the spring of 2017 for the long program Computational Challenges in Oil Field Applications. Yunan was an active and enthusiastic participant in the program: she co-organized the seminar series held between workshops, participated actively in working groups, and delivered an outstanding presentation during the second workshop of the program. What do you consider yourself: a mathematician, a physicist, an engineer…? A mathematician. My current research has applications to geophysics, and I collaborate with researchers in fields outside mathematics, but my work is focused primarily in the optimal transport and mathematical challenges of inverse problems. How were you drawn into mathematics? I started my undergraduate education at Zhejiang University in China as a science major, and during my first year there, I took courses in many different areas of science. I soon realized that mathematics was the most exciting subject and chose pure math as a major. What problems are you excited about right now? I am most interested in optimal transport. The topic was brought up more than 200 years ago and has been well developed by analysts. I am excited to apply its beautiful theory to applied mathematics. Inverse problems is an application of optimal transport, and I am also very interested in the computational challenges posed by inverse problems and their applications. As a graduate student at UT, I have taken courses in several areas of pure and applied mathematics, and I think the complexity of inverse problems allows me to put all this mathematical knowledge to work towards creating new algorithms for solving them. This is your second visit to IPAM in a short time; what keeps you coming back? First of all, IPAM has recently organized programs that are very close to my research interests, and it provides great opportunities to meet experts in the areas I work on and learn from their talks and my interaction with them. IPAM’s building is great for this type of interactions and also to work with others. I find this working environment very productive. The interdisciplinary nature of most IPAM programs also leads to more innovating ideas that enrich my own research. I also like Los Angeles and its weather very much. This program has covered different aspects of oil field applications. What parts/topics of the program have you enjoyed most? Is there any topic you would have liked to see more of? I can’t think of any topic I would have liked to see in more detail. My favorite parts of the program so far have been the tutorials —they really prepared me well to understand advanced talks in areas I was not that familiar with before starting the program, and the workshop on Full Waveform Inversion (FWI) and Velocity Analysis was really amazing. This is the area I am currently working on, and I have really enjoyed meeting the top experts in the field and having the opportunity to present my work to them during the workshop. I also enjoyed the format of the workshops, with plenty of discussions that helped me better understand what techniques and ideas may or may not work in my current line of research. How is your participation in the program contributing to your progress as a graduate student? My thesis advisor is also participating in the program, so being here has allowed me to have more interaction with him than when I am at UT Austin. And it isn’t only he who is available to work with; the best researchers in the field are also here, and I take advantage of it to discuss new ideas with them and re-focus my research goals and methods. Being able to attend seminar talks in the math department and to meet some of their faculty has also been very beneficial. And being at IPAM has also allowed me to concentrate on my research and not have to worry about other duties I usually have when I’m at home. What is your favorite paper or idea of yours? My favorite paper is a preprint submitted last December and revised recently. It is titled “Application of Optimal Transport and the Quadratic Wasserstein Metric to Full-Waveform Inversion.” To compute the optimal transport cost between two 2D seismic signals, in the past we solved numerically a 2D Monge–Ampère equation; a highly non-linear PDE. Due to its own numerical challenges the results were not ideal. Last November, we tried the idea of solving 1D optimal transport to compare the 2D data slice by slice. This approach worked remarkably well, and the paper was finished one month later. The 2D approach has its own advantages, but this experience inspired me to think the best ideas might be the simplest.